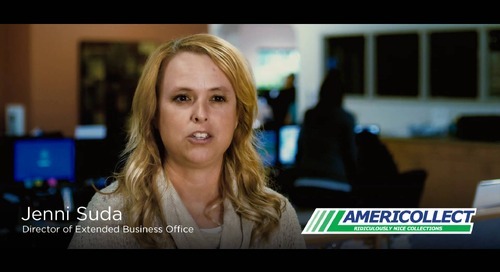 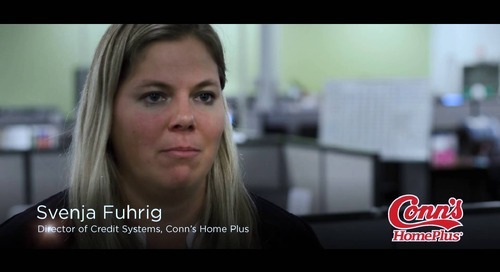 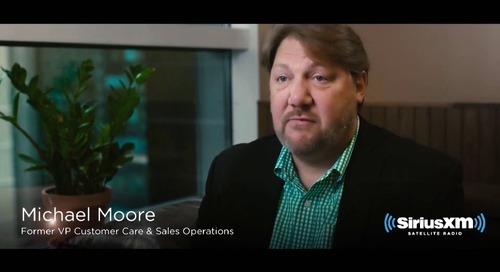 See how Real Time Resolutions reduced after call work (ACW), decreased operational costs and improved call volumes in their contact center. 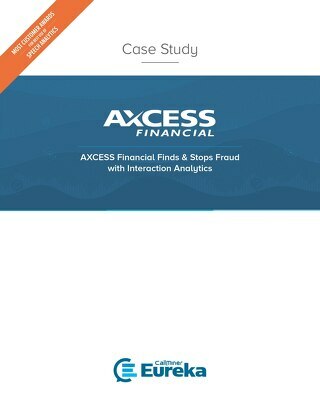 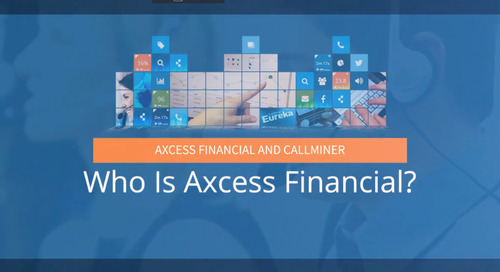 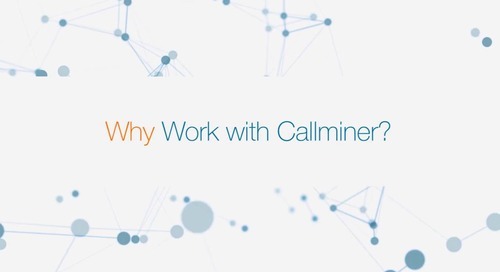 With CallMiner Eureka Interaction Analytics, you can achieve results like this, too. 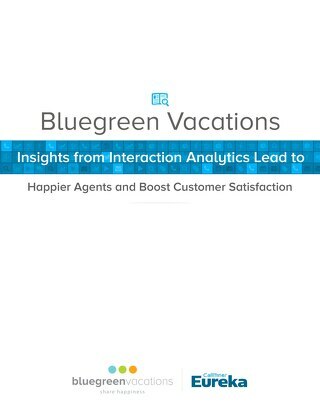 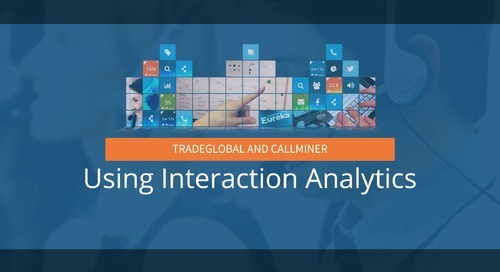 See how TradeGlobal uses customer journey and interaction analytics to solve repeat call drivers, improve agent training and performance, and uncover issues that impact customer service. 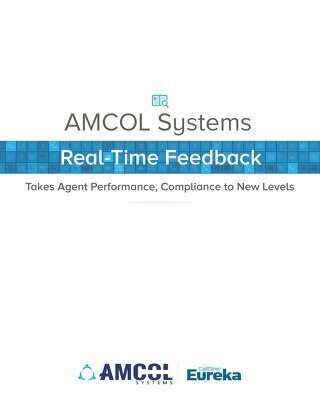 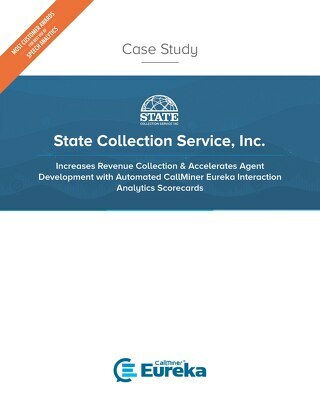 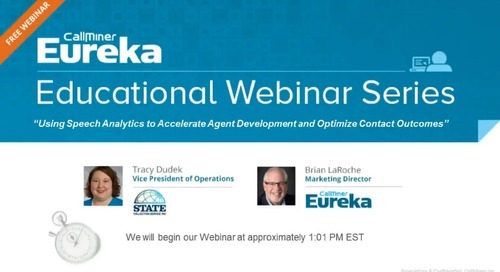 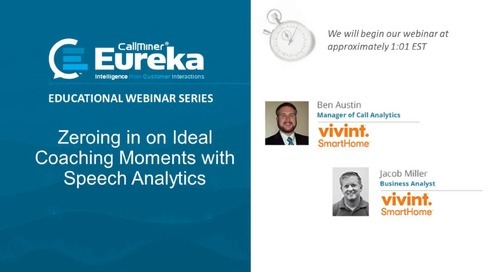  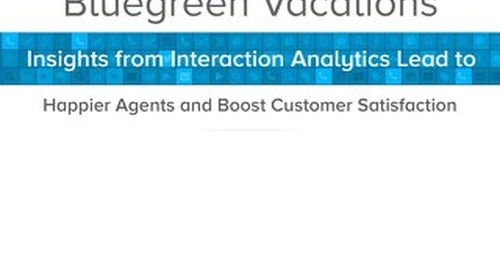 Use of CallMiner Eureka post contact and real-time interaction analytics for sustainable improvements in contact center and agent performance for State Collection Service. 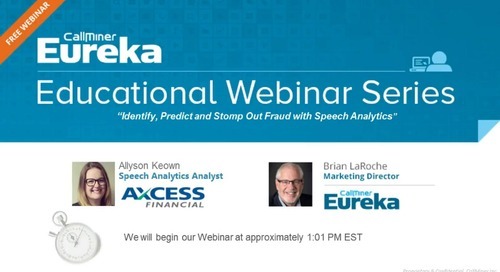 Hear from Thomson Reuter's Senior Analyst, Brian Miller, how they used speech analytics to define root cause, develop a process for call center success. 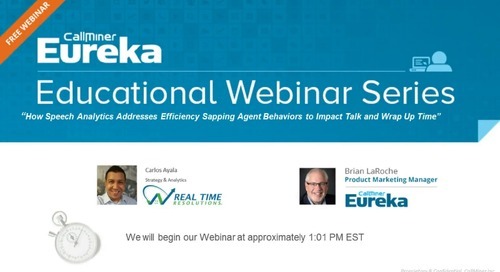 Speech analytics in successfully identifying and addressing efficiency behaviors that impact agent talk times. 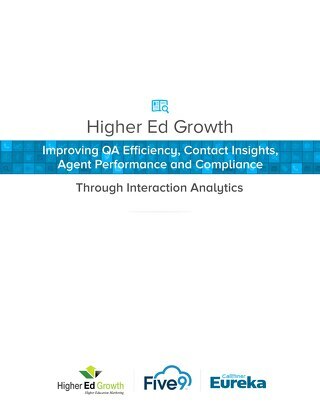 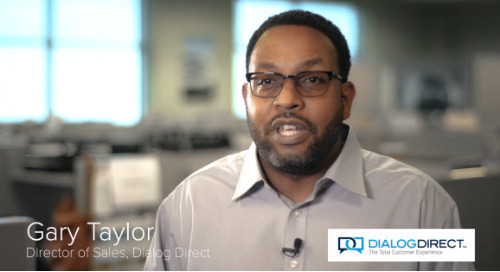 Learn the steps to correct and improve the overall performance of your call center.